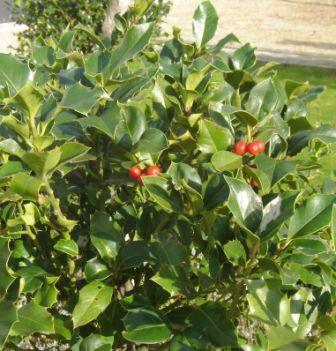 Red berries light up the glossy green foliage in the knot garden, ready for the Christmas season. 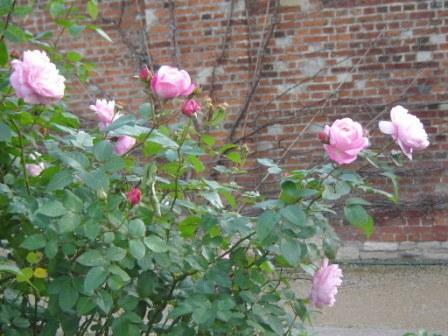 Still bravely flowering on in the lawn bed, this popular rose adds scent and colour late into the season. 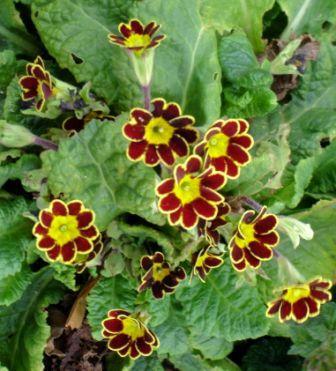 This harbinger of spring is already blooming in the long border edging College Road.